Digging in the dirt – that’s what is happening in Morgan City, Utah these days. 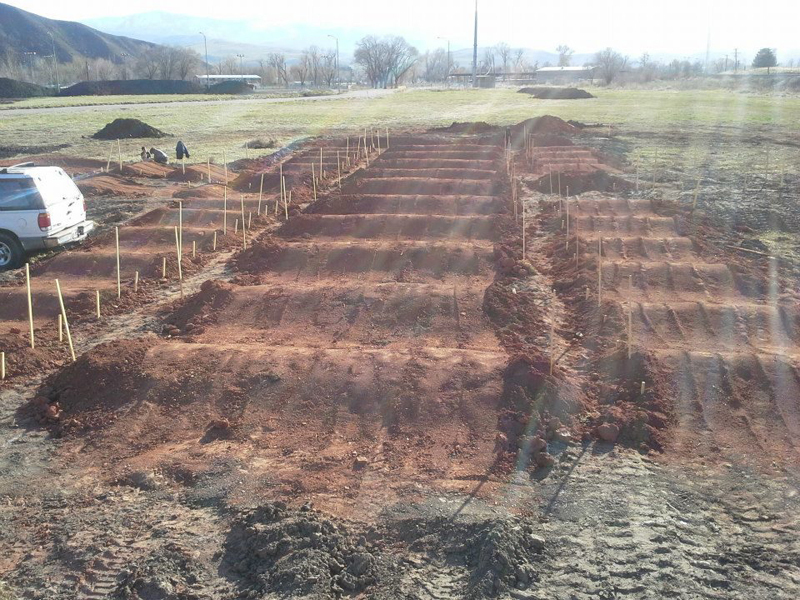 The county – located fifty minutes northeast of Salt Lake City – is installing the area’s first bike park, an outdoor recreation facility that hosts varying types of bike terrain in one encompassing area. The park was approved by Morgan County Council and has since become a collaborative effort between project designers and community volunteers, according to Jason Johnson, the project’s community organizer. 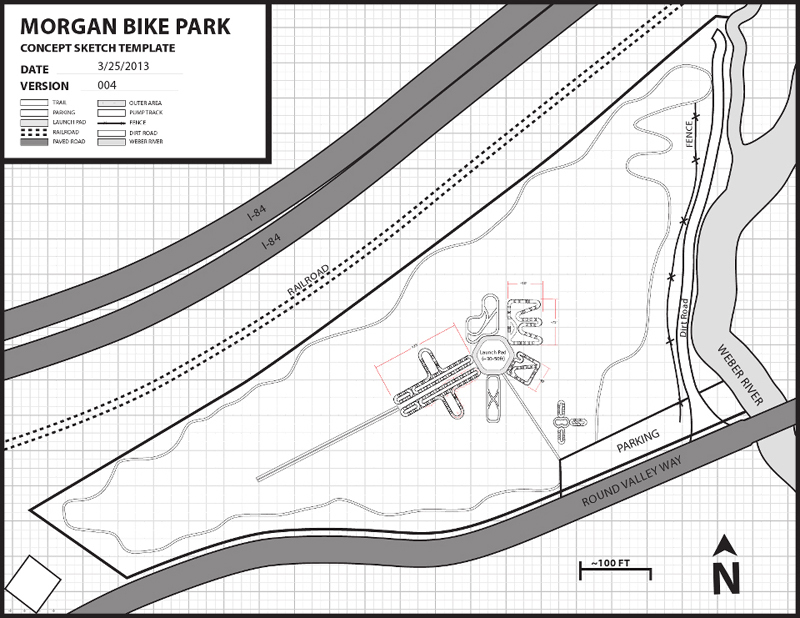 Morgan’s bike park will fill the need for outdoor recreation, while enhancing businesses, the fairgrounds, and future developments in the area, according to the project’s proposal documents. “Bike parks provide individuals of all ages with a venue for varying abilities…while utilizing areas of land that are sometimes limited for other uses,” the documents said. The new park is located on 10 acres of county-owned land just northwest of the Morgan County Fairgrounds, Johnson said. It is situated on a meadow near the Weber River that has previously been proposed as a potential motocross track location. The land is separated by an access road along a nearby river, which will divide the park into two areas, the documents said. Both areas of the park will be connected by an established singletrack trail around the perimeter of the park that can be built solely by volunteers. “[The track] may be basic to start, but could be enhanced over time simply by adding dirt features giving variety to terrain,” the plans said. Only one basic loop will be constructed initially, but organizers hope to build a parallel loop at a later date that will appeal to more skilled riders. Another terrain feature – a pump track – has already started being constructed by the project’s designers. Pump tracks are much like rollers and berms found on BMX racetracks, but they also incorporate alternative routes and choices for the bike rider, the proposal said. Finally, the plans include the construction of a “mountain bike skills area” in the river bend, which can be accessed by the single-track perimeter trail, the proposal said. The area will include 2-by-4 plank bridges that will have features like smooth drops, sloped dirt landing, elevated bridges, and bike-friendly teeter-totters. “The planning of bike parks [is] absolutely customized to fit the physical location and resources available as well as the interest and demand of the public using the parks,” the proposal said. More than 8000 cubic yards of dirt have been utilized for the project thus far, all of which has been moved to the site from various commercial and private construction sites in the area, Johnson said. The plan’s proposal also includes the option to host events, such as pump track and BMX competitions, county fair exhibition events, and mountain-skate events. The public is allowed to ride parts of the park that have been completed thus far, but only non-motorized vehicles are permitted. 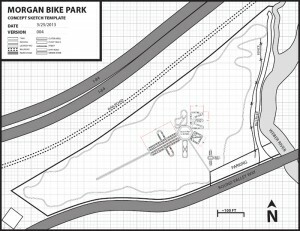 For more information and for updates, visit www.facebook.com/MorganBikePark.